A quick update about what I’m up to. I’m still waiting to hear about a few submissions and I’ve sent out several poems to competitions. In recent years I’ve been trying to focus on magazines rather than competitions but I decided to ring the changes a bit and see how I get on. In the next few weeks I would like to organise some submissions to magazines I’ve never been in: Shearsman magazine and The Butcher’s Dog are two I might try (if I’m organised enough!). 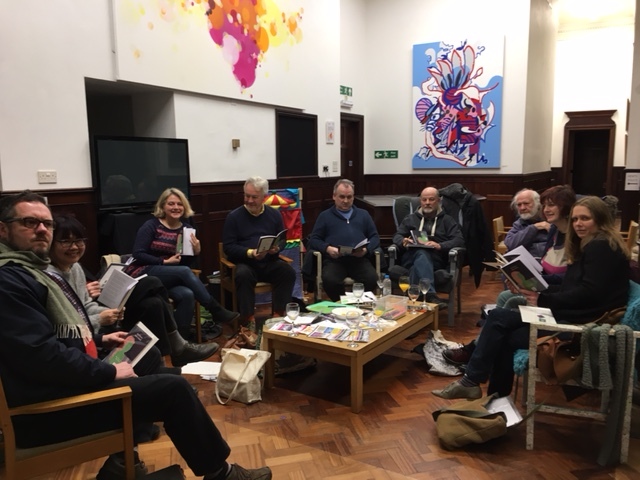 We had a lovely Poetry Society Stanza meeting at Trowbridge Town Hall on Monday, 13th February. There were a few new faces and plenty of more familiar ones. We had a good discussion of individual poems by four group members, with lots of insightful comments and responses. The standard of work is excellent. I feel the group is growing friendlier and friendlier, or perhaps that’s just my perception! For the second half of the evening, we read and talked about a new Candlestick Press publication Ten Poems from Ireland. We’re lucky enough to be sent copies from Candlestick Press in return for feedback. These are poems about a country, a culture, and a language. These are universal themes that go beyond Ireland. I wish I could speak Irish! Michael Hartnett’s poem ‘Death of an Irishwoman’ brought a lump to my throat. Leanne O’Sullivan’s poem ‘Safe House’ made several of us gasp out loud. And how the heck haven’t I read this poet before?? 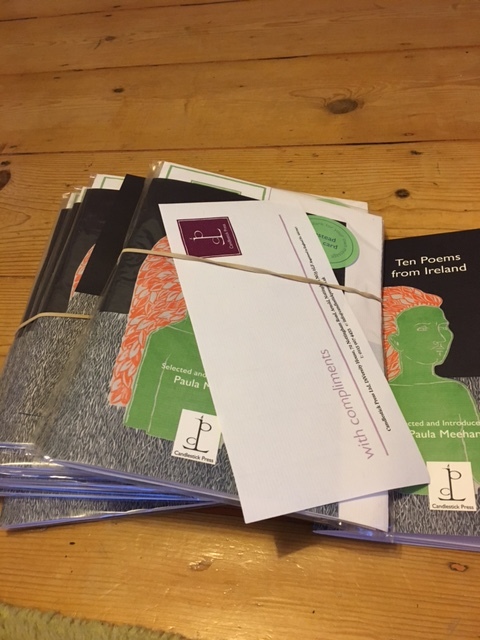 If any of you are around Trowbridge next week, Thursday 23rd February, some of us, including Stanza group members who couldn’t make it to the Town Hall last Monday, are going to meet to discuss Ten Poems from Ireland again at The Studio Café, Drawing Projects UK, Bridge House, Stallard Street, Trowbridge – 10am – 12pm. Everyone welcome. Copies of the pamphlet are available from Candlestick Press. I’ve organised a second Open-Mic Night in Trowbridge. 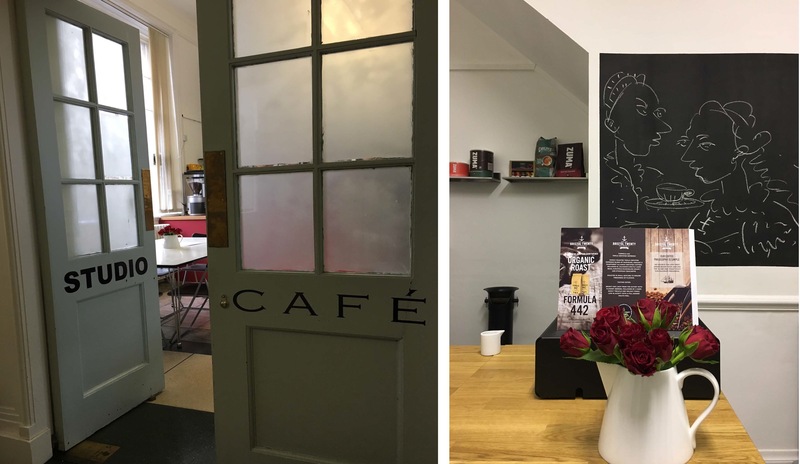 This one will also be at The Studio Café (see address details above) on Monday, 13th March 7pm – 9pm. Tickets are £4 on the door and the price includes a drink. More details here or get in touch if you’d like to come along to listen or to read at the open-mic (or, I hope, both!). Another thing to report is that And Other Poems is up and running again but at a more leisurely pace than previously. I reached a point last year when I felt overwhelmed by submissions (even with the help of amazing co-editor Rishi Dastidar) and I spent so much time on the site, my own writing suffered. So I’m posting once a week there, and, at the moment, inviting submissions rather than putting out an open call. This feels more manageable and enjoyable for me. I tend to post updates about AOP on this blog (as well as on Twitter and Facebook) so I hope everyone will keep informed this way. Other than all of this, I’ve been enjoying reading Sharon Olds’ Collected Poems,and short stories by John Cheever. I’ve managed to get out and about for some country walks with my husband, Andrew, and I’ve been extremely grateful for some delicious sunshine. I hope everyone is well in these turbulent times. I know I haven’t mentioned them but that isn’t to say that they’re not disturbing me. I have signed a few petitions but, other than this, I feel I can contribute to making the world a better place by continuing to be a loving partner, parent, and friend, and to continue to make art, and create opportunities for others to participate in the arts, namely poetry, and support others who are doing the same, especially in this small corner of the West of England which is often overlooked. I’ll tell you one thing: there are still a lot of kind, caring, considerate and extraordinarily wonderful people in the world, and it’s up to us to find them, to be with them, and to try to be them. Have a good week, everyone. Good luck with Butchers Dog, Joesphine. I’ve got a fat folder of ‘thanks for trying’ emails. But I keep at it. I just like the shape of the cover, and the papers they use. How rational is that? Butcher’ s Dog is lovely. I think I tried 3 or 4 times but persisted and got in. This led to traveling to Newcastle poetry festival and reading there, which was wonderful. They have a revolving editorship policy. I gave up on Acumen, I think, but not on anyone else!